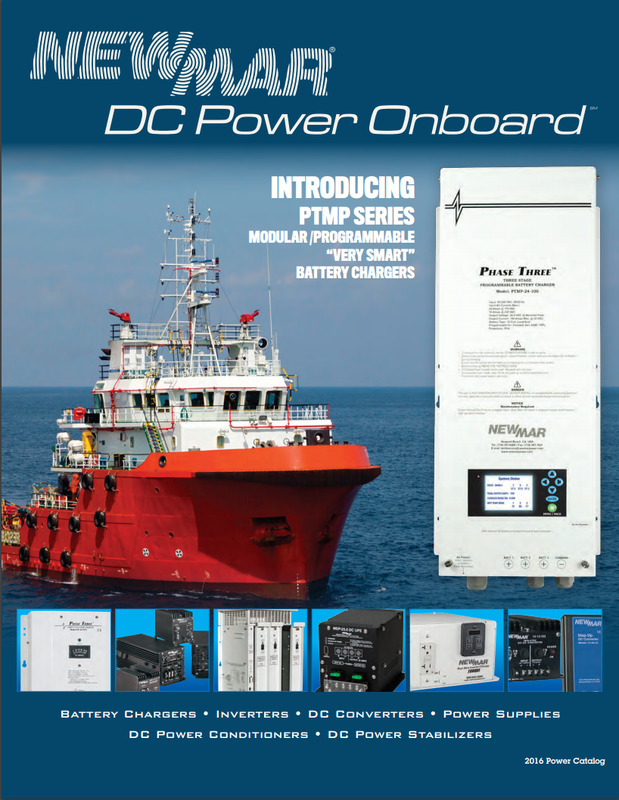 Marine Dealers looking to buy from a Wholesale Distributor. Sacrificial zincs corrode away as they protect metal thru hulls, shafts and props from damaging electrolysis. Stray, low voltage current flowing between the AC safety ground and DC bonding system is a principal cause of this “galvanic” action. 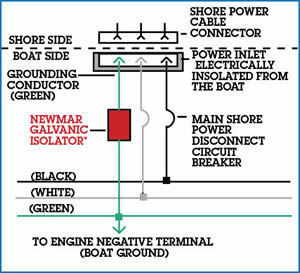 Installing the Galvanic Isolator between the AC safety ground and DC bonding system (see diagram), blocks a majority of the low voltage currents and corrosive action on the zincs is significantly reduced (while the integrity of the critical safety ground path is maintained.) This means a significant savings in boat haul-out fees and zinc replacement costs. 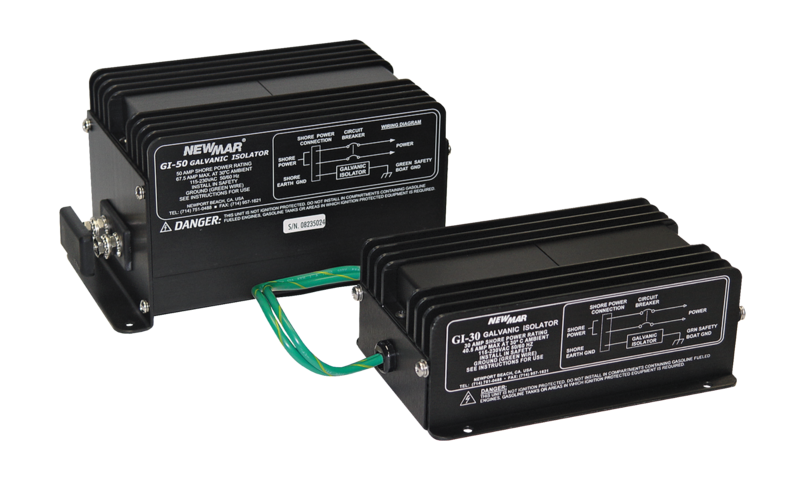 For additional safety, all units feature a large capacitor, providing a secondary low impedance path for sending AC current to ground. 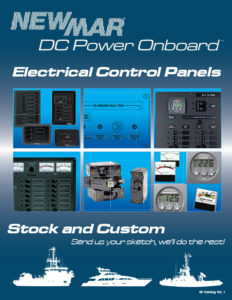 Two models are offered; rated for 30 or 50 amp shore-power.